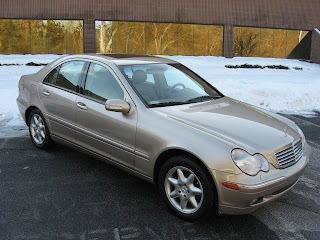 Today from Pumpkin Fine Cars, we present this pristine 2002 Mercedes Benz C240. For those looking for luxury without paying an arm and a leg this is a great buy right now. Not only does it have a Car Fax Report that is clean as a whistle, it has very low miles at only 66k! That is correct...only 66k miles since it was brand new! It has all of the luxury you have come to expect from Mercedes Benz, but it is also sporty, fun to drive and very fuel efficient. This C class has the perfect color combo for summer and the hot sun with a Metallic Champagne exterior and a light tan leather interior. 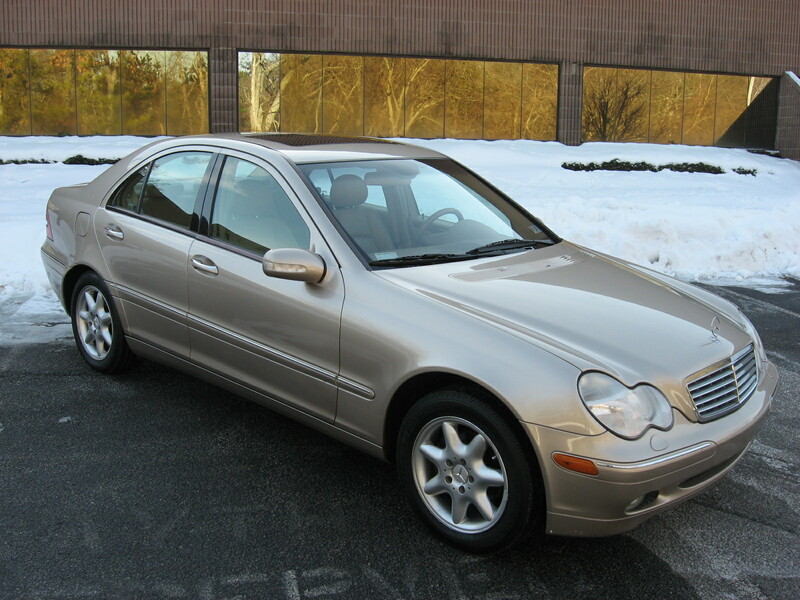 As far as features and options go, this Benz has a lot of great ones such as Power and Heated seats with Memory Positions, a power Moonroof, Cruise Control, Full power options and a 6 Disc CD Changer. In the words of our own Franck Freon, "Where else but Pumpkin Cars would you find value like this?". The best feature of this car by far is the price, which at $10,995 makes this car not just a great deal, but more of a great steal! Swing by our unique indoor showroom to check out this fantastic value or any one of our great pre-owned vehicles currently in stock. We look forward to your visit and we suspect that you will fall in love with a Pumpkin Car! As always you can reach Pumpkin Cars over the phone at 609-646-7676 and via email at [email protected] . You can find us and become a Fan of Pumpkin Cars of Facebook, follow the tweets of @PumpkinCars on Twitter, view videos of our pristine inventory on YouTube and keep up on everything new here at Pumpkin by subscribing to our blog!